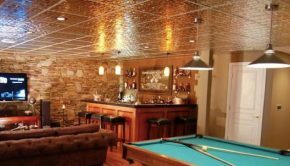 Although Teton Heritage Builders sourced their ceilings from TinCeiling .com, we always turn to our buddy Milan over at Decorative Ceiling Tiles for the latest and greatest in ceiling decor. 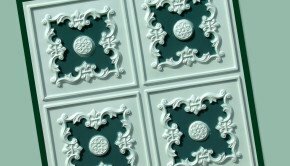 We did a quick search to see if he offered any red tin ceiling tiles or whether we would need to paint them ourselves. 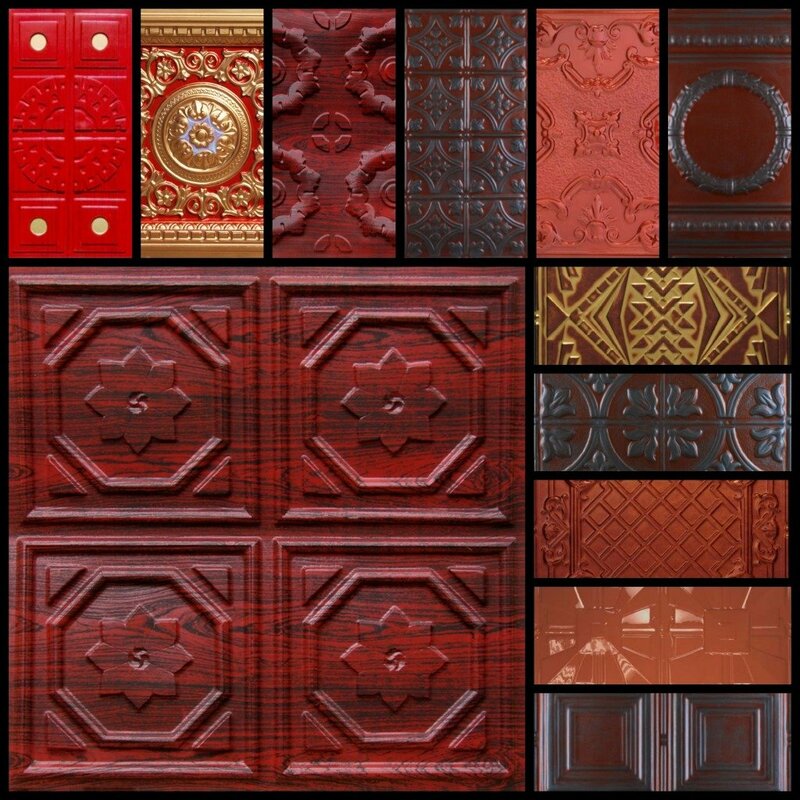 Lo and behold there is an entire page of red ceiling tiles including both aluminum and red faux tin tiles. For some reason we had never before noticed this rosewood wood grain look available in faux tin. 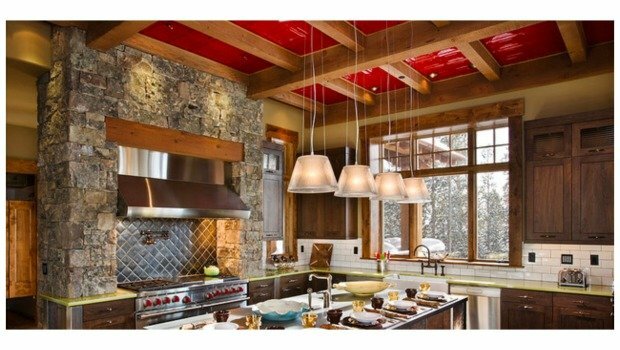 This rosewood tile would not only give a kitchen a pop of color but could add warmth to a room which can sometimes get a bit cold with lots of stainless steel appliances and cool cement, marble, quartz, ceramic, and granite counters.